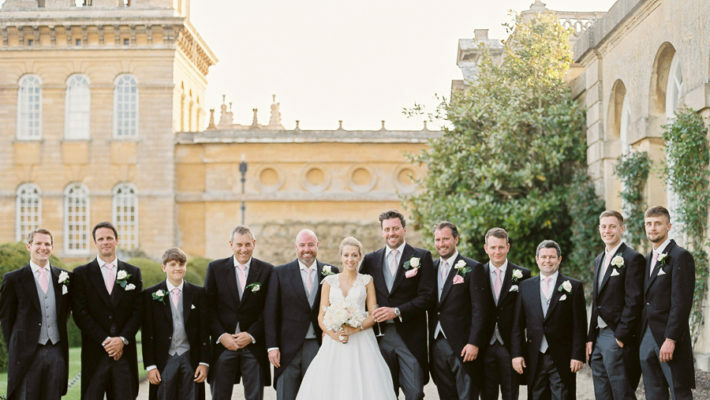 Karen and Dan’s wedding has that timeless elegance which really typefies an English wedding. They married in Hampshire in early autumn at the fabulous Tylney Hall, and styled their day with the palest and prettiest white and pink flowers and details. Everything about today’s real wedding oozes classic British style, with such elegant decor in a beautiful country setting. I hope you love sharing their day! Personalise your winter wedding in style with our 20% off guest books offer! Hey everyone! I hope you’re having a lovely day – and I hope I can make it a little bit lovelier for you with a very special offer from my friends at The PhotoBook Co. They’d like me to offer you another fantastic saving on their alternative wedding guest books – designed to make you and your guests smile! Design a bespoke guest book for your very own wedding day and cherish the lovely messages forever! The idea behind alternative wedding guest books from The PhotoBook Co is simple: upload your own images to their pre-designed guest book template which includes signing pages for your guests to write on. Short of photos to use? Why not design yours with old photos from childhood to now, or when you fell in love! 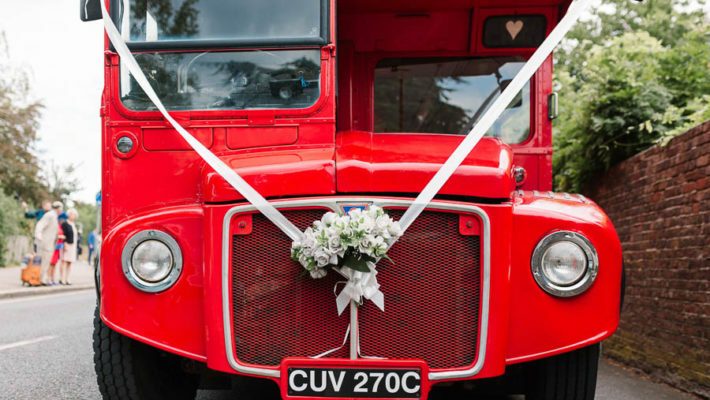 Meh… English Wedding nominated for a 2015 UK Blog Award? Blog awards, I’m sorry to say, don’t light my fire. While the email telling me I’d been nominated for a UK Blog Award came with a frisson of something, it lasted no more than a fraction of a second before I realised how little these things mean. I’m all about my readers and the wedding suppliers I discover and share. I’m not out there to compete with other wedding bloggers – the English Wedding Blog has its own niche and all I want is to make this a lovely place for you to visit, enjoy, find suppliers and ideas and advice. What would I do with an award? Wedding discount websites make me sad. Very occasionally they also make me angry… and a few weeks ago I promised on my facebook page I’d share the full text of an email exchange I had with a new wedding discount site called Bridea. First let me explain why wedding discount sites should be avoided. They give the impression you can afford more ‘things’ for your big day. But if you’re on a budget, it’s always better to cut down on the things you need. Rather than having a cheap cake and cheap flowers, choose one or the other and do it well. You really do get what you pay for. If it looks too good to be true, it is. Trust me! Discount sites harm small businesses. In the wedding industry most suppliers are sole traders and independent crafters. We’re not Aldi: we can’t afford to slash prices. Hey there beach brides! Today’s feature is for you – from our own fair shores I have a fabulous seaside styled shoot to share. There are ideas here for every girl who’d love a beach wedding – and all from local wedding suppliers too! 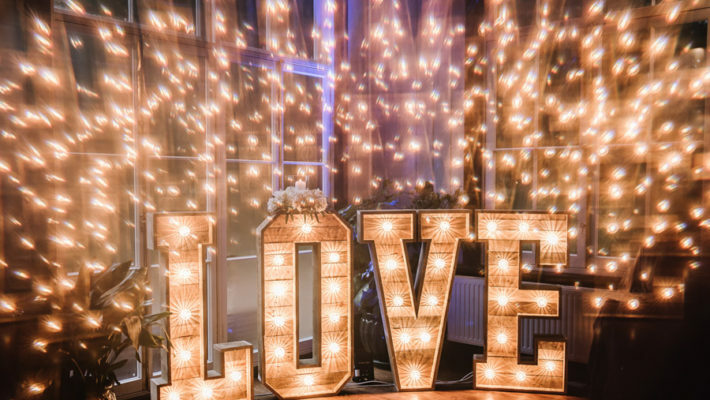 Wedding photographer Charlotte Bryer-Ash told me what inspired her to create this shoot, which she planned together with Rachel from Exquisitely You. It’s all about clean, minimal styling with a relaxed seaside feel. I adore the backdrop – a simple timber frame with soft fabric is just perfect for the beach setting. 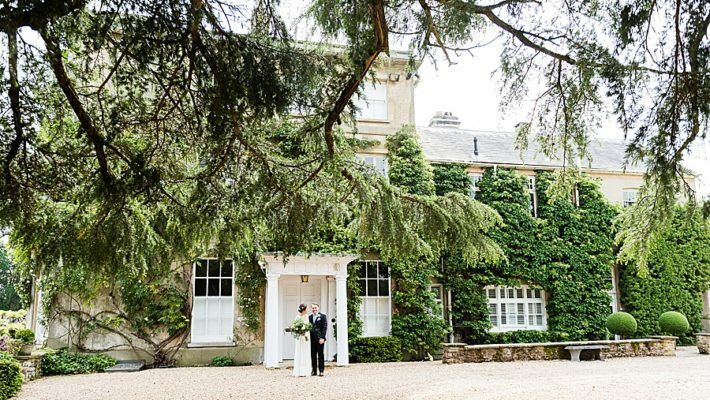 Amy and Grant were married in Kent in an intimate ceremony for family and friends, and chose a pretty style with classic and vintage elements to make their wedding day really personal. Amy’s dress is ever so pretty, with a lace bodice and delicate sparkle around the neckline with a jewelled belt. She accessorised it beautifully with a birdcage veil and feather, and silver drop earrings. Amy’s flowers were classic pink roses with gypsophila – simple but pretty and colourful. The venue was decorated with tissue paper poms and streamers strung across the ceremony room – a key theme for 2014 and always eye-catching and decorative – I think it looks lovely. Images are by lovely Andrew from Howling Basset Photography (based in Kent). 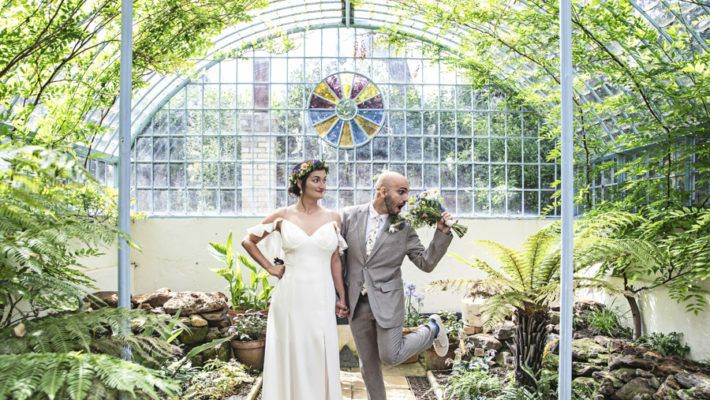 Kent wedding photography of the lovely Amy and Grant and their small and intimate wedding at The Barn in the centre of Tunbridge Wells, by Howling Basset Photography. 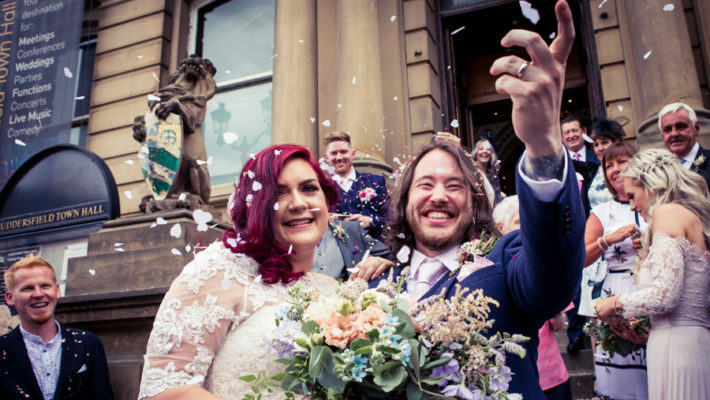 Sarah and Nick were married at Haworth Art Gallery – a fabulous location with a romantic atmosphere which needed little extra styling. 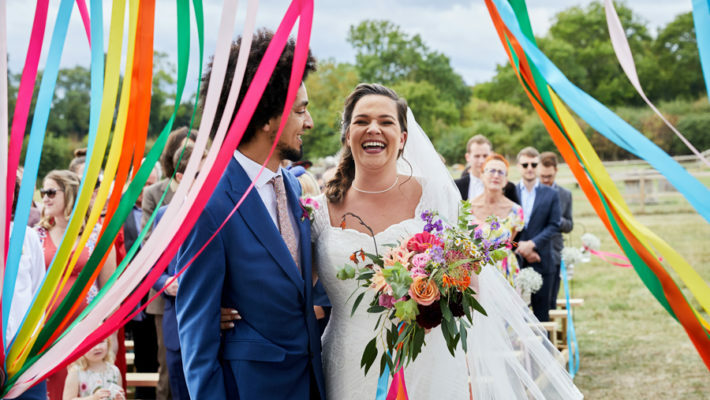 Their creative talents came out to play with their marquee reception, where they enlisted friends and family to help make everything from bunting to stationery. Today’s gorgeous bride made her own cake and many of the decorations, and everything looks amazing! Their guests commented on how personal this DIY wedding was because of all the things they thought of and made. I particularly love the French influence in elements of the wedding design: the typefaces used on the Order of the Day; the cork decorations and the cheese wedding cake. It’s a wonderfully romantic and creative day from beginning to end, and the photographs from Pixies in the Cellar capture every detail – it’s a treat to be able to share them with you today! Crab Manor has so much character it could pop… and what better wedding venue to get your guests talking and having a blast! There’s so much to Lauren and Bob’s Yorkshire wedding, it is definitely one of my favourite weddings this year.